Kim Kardashian's tweet highlighted how many more Americans are killed by fellow citizens with guns, than by terrorists. The statistic of 69 lawnmower deaths a year was named International Statistic of the Year for 2017 by the UK’s Royal Society of Statistics. Liberty Vittert, a member of the Royal Society’s judging panel, said: “Everyone on the panel was particularly taken by this statistic and its insight into risk - a key concept in both statistics and everyday life. “When you consider that this figure was put into the public domain by Kim Kardashian, it becomes even more powerful because it shows anyone, statistician or not, can use statistics to illustrate an important point and illuminate the bigger picture. ”The killer lawnmower statistic was sourced from the US Centers for Disease Control and Protection (CDC) database. The CDC analyzed death statistics from 2005 to 2014. It found there were 689 deaths involving lawnmowers during this 10-year period. More recent data show death by lawnmowers is a growing trend: Between 2006 and 2015 there were 723 lawnmower deaths, an average of 72 per year. 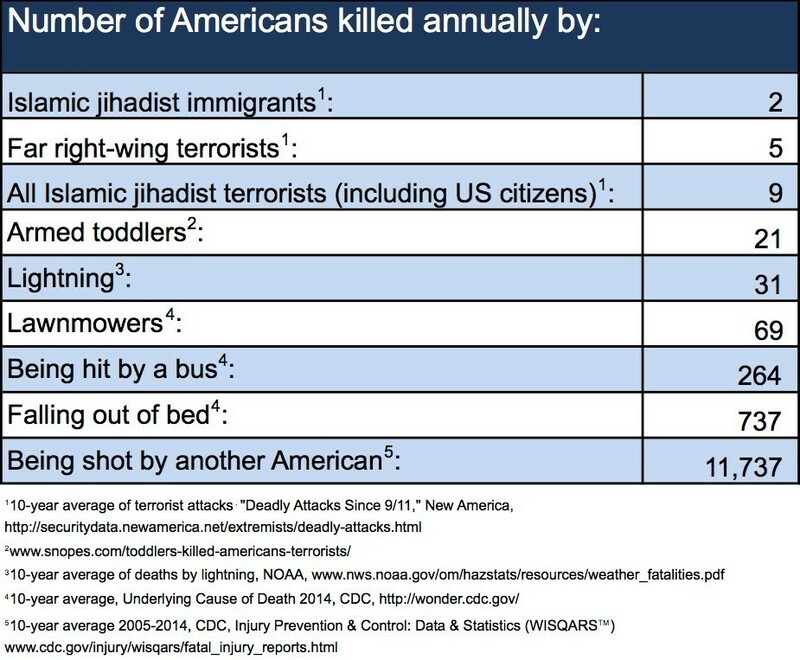 And in the 10 year period between 2007 and 2016 there were 758 deaths caused by lawnmowers, an average of 76 per year. During the same period the CDC recorded eight deaths in total related to terrorism, an average of less than one death per year. This is far lower than the figure in the Huffington Post’s table that shows an average of 14 year, which is based on 15-year data since 9/11. Deaths from lightning averaged out at 30 per year. Falling out of bed can prove exceptionally dangerous. An average of 802 people meet their deaths this way every year. Far fewer - just 28.1% - are afraid of a random mass shooting, and just 18.3% are afraid of being murdered. On issues ranging from murder rates to teen pregnancies, survey respondents from South Africa were likely to give the least accurate guesses of where the figures stood.